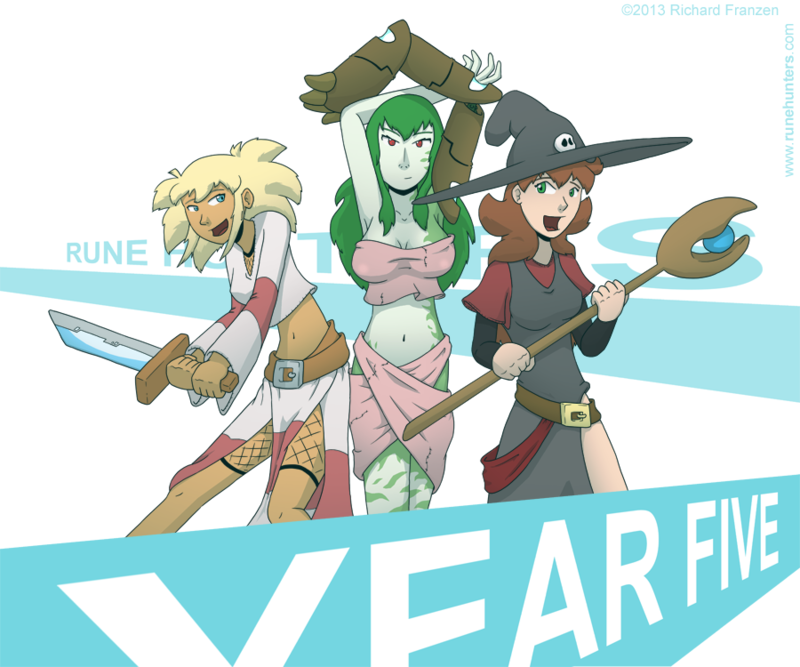 Celebrating five years of Rune Hunters, on the fifth day of the fifth month. Even Nanno decided to join up with Ada and Asura for this year’s celebration. Also, I have some important news to make about the comic, which you can read in a blog post here. Blarg, I just teared through the whole archive and am hankering for new stuff. Same. That was a bombshell… Definitely something to break assurance out of her funk. found my new online comic. thank you ghost pokemon love!! !